My youngest daughter LOVES Hippos. 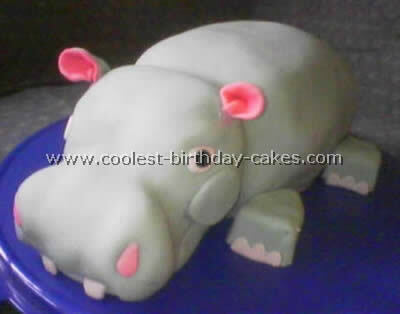 For her birthday, I decided to make her a hippo birthday cake. 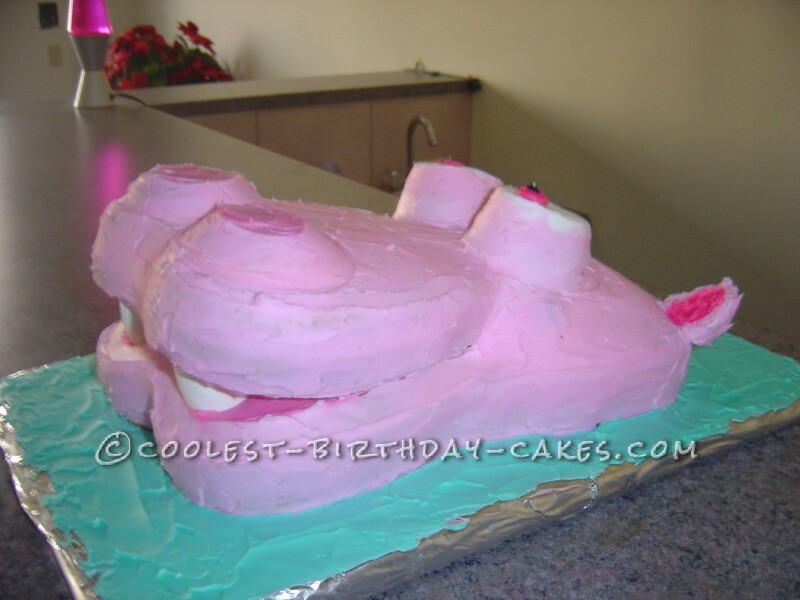 I used a loaf pan and two heart shaped pans to create the hippo head shape. I used the loaf pan for the top of the head after I rounded the corners slightly. I cut the pointed ends off of the heart shapes, and then turned the hearts upside down so that the curved end was now at the bottom to resemble the lips of the hippo’s mouth. 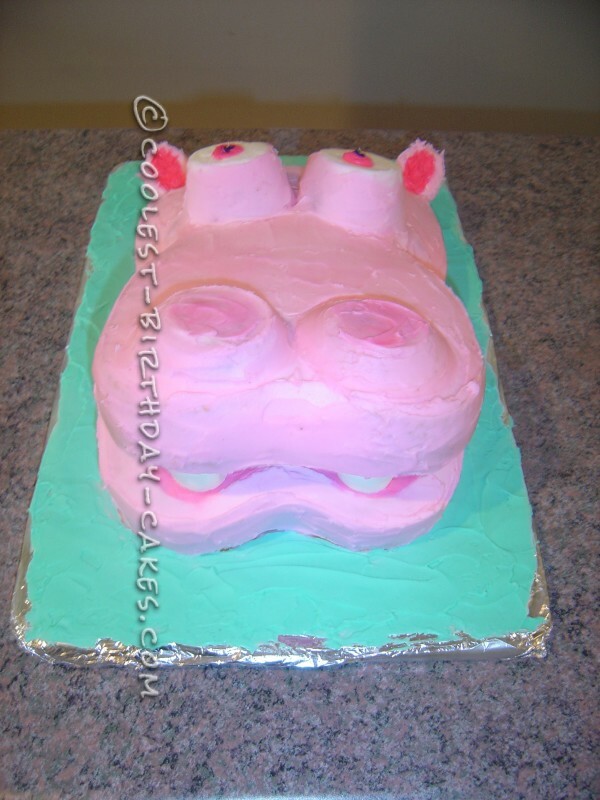 If I could do this cake over, I wouldn’t have made it pink. I would have used a grey color and added pink for highlights. 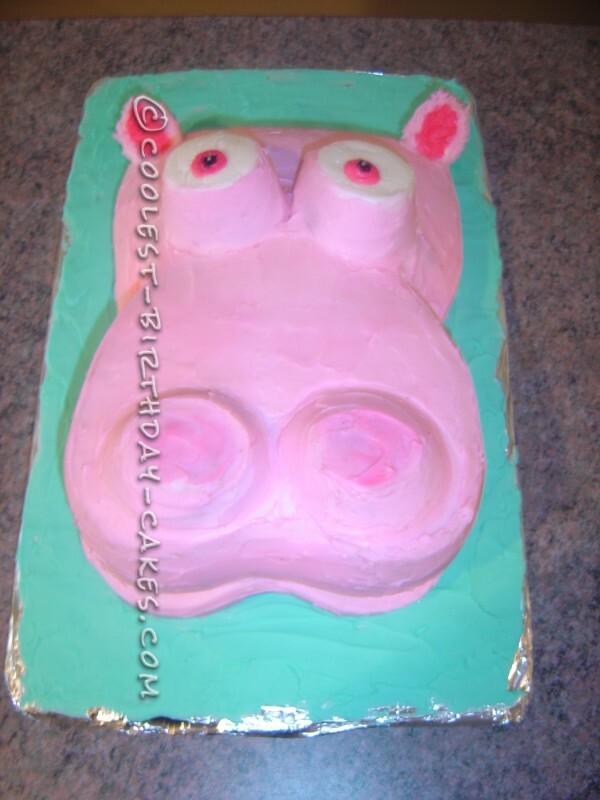 I also would not have used cupcakes for the eyes and nostrils. 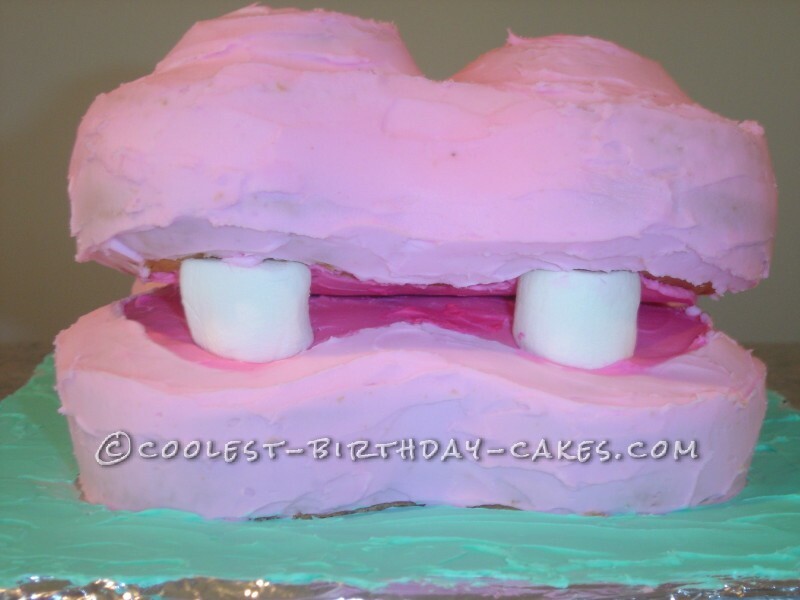 The teeth are giant marshmallows. The ears are one giant marshmallow cut in half on the diagonal. Toothpicks helped hold them in place. All scraps of cake were used to “connect” the loaf pan shape with the heart shape so that there weren’t any gaps, and as support in the mouth. I also used regular marshmallow in the mouth, toward the back, to help hold the mouth open and prevent the top from sagging. I smeared tinted butter cream on my board to resemble water (the color of the water is the same color as her favorite stuffed hippo….a TY beannie baby). Looking at this cake now, I can see millions of mistakes that I have learned from. Will definitely use grey next time! 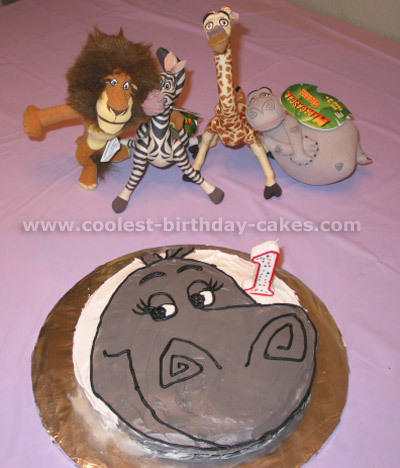 Birthday cake idea Posted by Janis S.